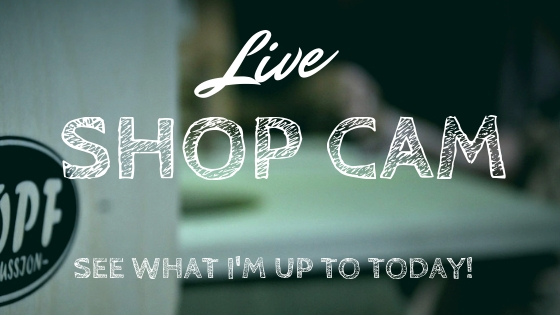 I have crafted many different types of cajon since I first fell in love with the instrument over 10 years ago. I have made many custom cajons for many different styles of playing. It is amazing how subtle differences in the sound can be achieved by small changes in the design. The cajon drum is an instrument that has a very diverse history andover the years has reached virtually every genre of music. There have been countless modifications, styles, and building techniques to develope over the years. Even so, the basic construction of the instrument will always be very simple. In a nutshell, it is a box. 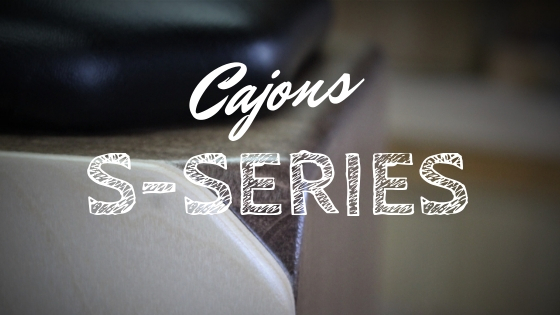 Over time, there have been varied types of cajons that have been developed for percussionists to suit the particular needs of their genres. The following are but a few. The Peruvian cajon is probably the oldest form of the cajon and is considered by many to be the original. I have come to know this type of cajon to be traditionally without any snare or string effects. To me this instrument to be all about the tone of the wood. Most cajons of this type have lots of overtones that are usually achieved by having fixed or glued tapas. My DeUno cajon is a great example of this. Like all of my traditional "sit-on" style cajons, it has two playing surfaces. One tapa has snares but the other tapa does not. 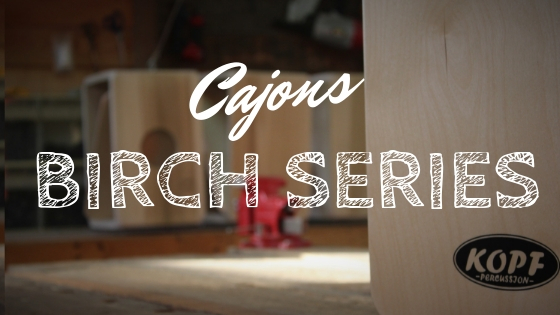 This non-snare side is a great "Peruvian" cajon that has a "clean" and "woody" tone. The Snare Cajon is the most recent rendition of the cajon. 90% of the cajons that are available today are considered to be this type. These are typically fitted with some type of snare mechanism to create a snare effect in the upper registry of the tapa. My S-Series Snare Cajon which is this type of cajon, has been by far the most popular model that I have offered over the years. It has a snare system with over 80 strands. They are fixed in a very specific way in the very top of the tapa so that there is a complete separation between the snare and the bass tone. If you don't want snare in your bass, this is how you do it. 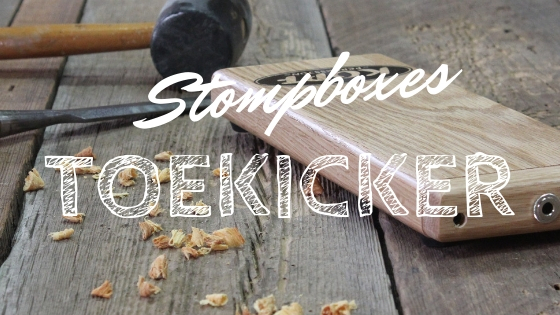 The Cuban Cajon is a little different from the other types of cajons. It is designed to be held by the player rather than sitting on it. It traditionally does not have snares but I have made a few with snares on special request. These are like the Peruvian cajons in that they are all about the tone and have lots of overtones and a very "woody" sound. I make the Tumba Cajon, Segundo Cajon, and Quinto Cajon. 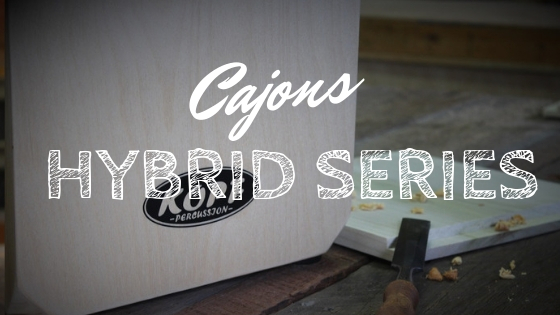 There are what seems to be a limitless number of variations of the cajon. The ones that I have mentioned above are what have been the most common in my experience. I expect that with the imagination of percusisonist and the number of musicians that are interested in the cajon that there will many more designs to imerge in the future.